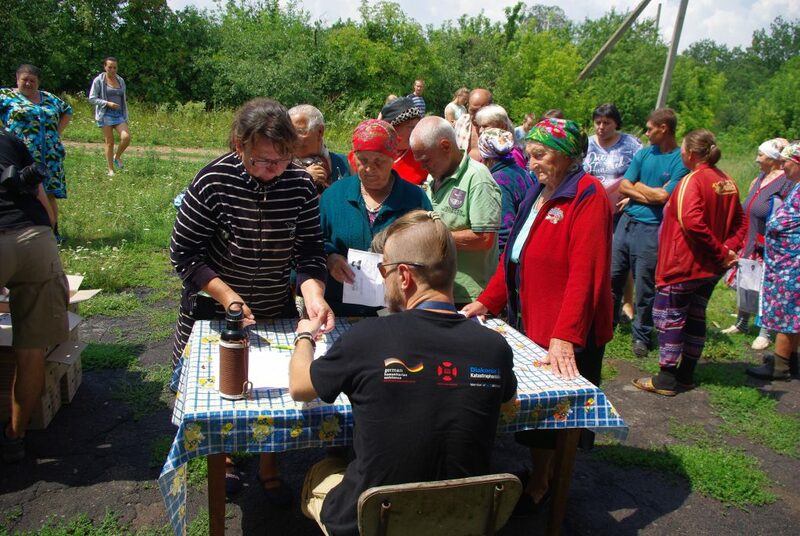 At the end of July, two members of the Libereco board travelled to Eastern Ukraine. The aim of the trip was to intensify contacts with our partner organisation Vostok SOS, to develop ideas for future projects and to get to know their work in Eastern Ukraine directly. We conducted three workshops in the region. Together with Ukrainian helpers and international volunteers we also distributed humanitarian aid in the so-called grey zone over the course of six days. We also visited the children’s centres that we have been able to support thanks to your donations over the past months. Background: The "grey zone" refers to areas in the immediate vicinity of the front line that is formally under Ukrainian control. However, sometimes both armies are positioned there. Even more than four years after the outbreak of the war, shelling continues to strike in areas of the grey zone. The Organization for Security and Cooperation in Europe (OSCE) counted up to 80 explosions alone in one day in the zone. Civilians are still dying and, according to the UN, over 3000 civilians have died since the outbreak of the war in spring 2014. It is estimated that between 7000 and 9000 civilians have also been injured. The situation for children in the “grey zone” remains particularly difficult. According to the UN, more than 500,000 children and teenagers live in the conflict zone. Many of them are traumatised, have sleep and development disorders, and additionally suffer from the stress of their parents. 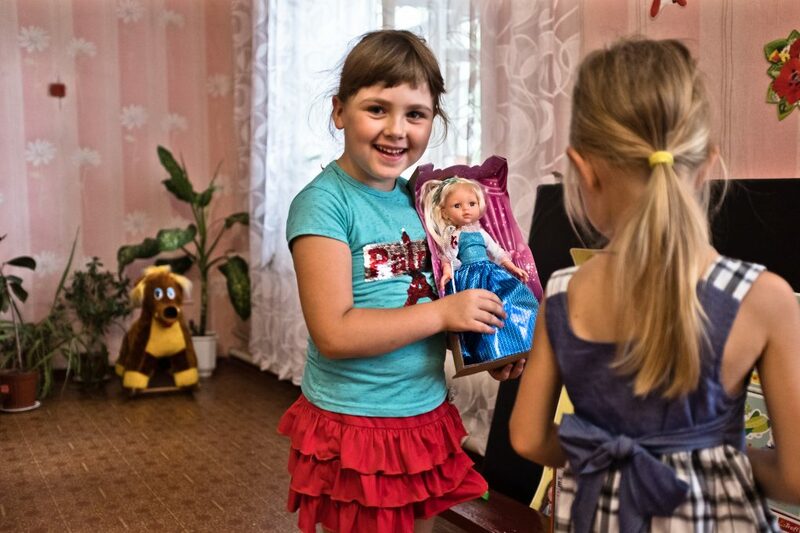 With your donations it has been possible to support children and young people who live directly on the frontline in Eastern Ukraine. 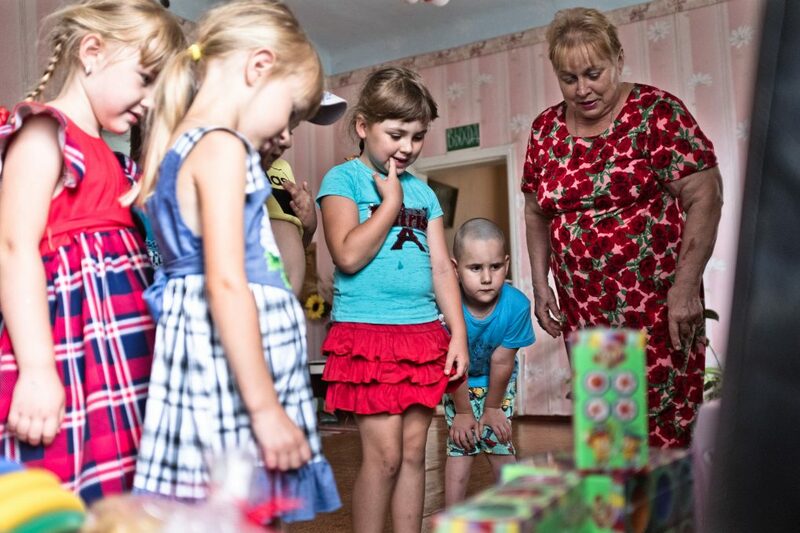 Together with local initiatives and committed parents, Vostok SOS has founded several children and youth centres. In these safe and creative spaces, children and teenagers can exchange ideas, develop, play and laugh together. During our visit to children’s and youth centres, for which we collected donations last December, Libereco members Imke and Marco were able to talk to children, parents and educators and get an idea of their situation. 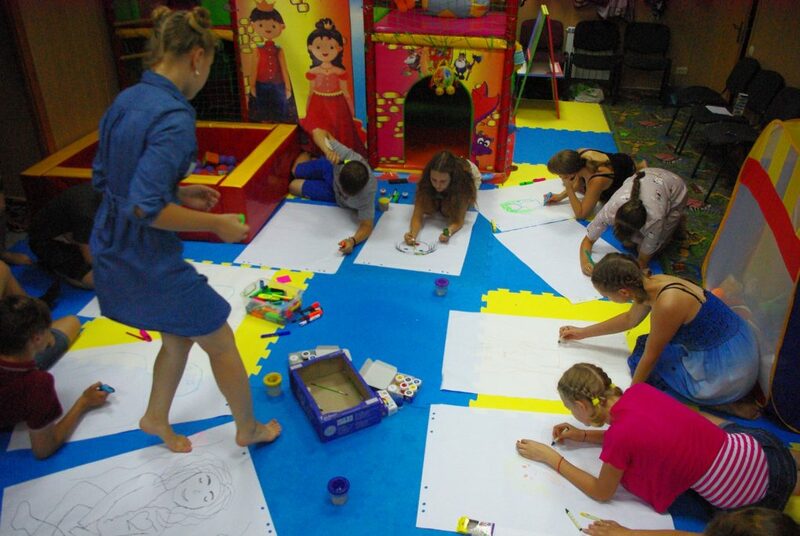 A workshop for children and youth in Rubizhne. 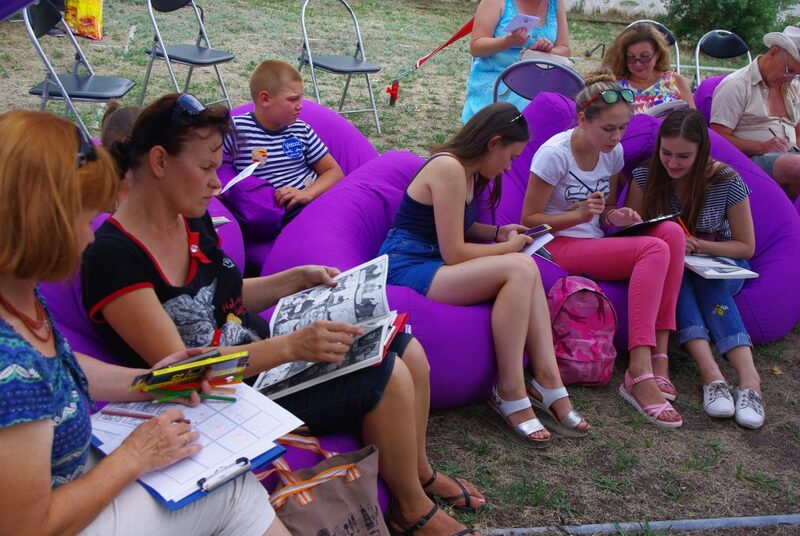 A workshop on the graphic novel created by Libereco in Shchastya. 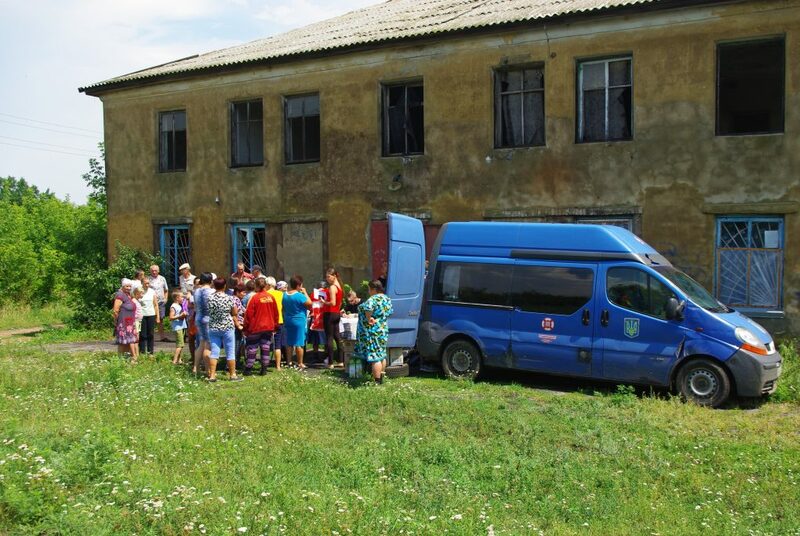 Volunteers and employees of Vostok SOS deliver humanitarian aid in Shchastya. Libereco member Imke speaks with residents of Shchastya. Two members of Vostok SOS check the completeness of donated goods before they are handed over to a day care centre in Zolote. The toys, learning aids and sport equipment were purchased from donations collected by Libereco. Children from Zolote inspect the new toys, learning aids and sport equipment. The joy is easily visibly. 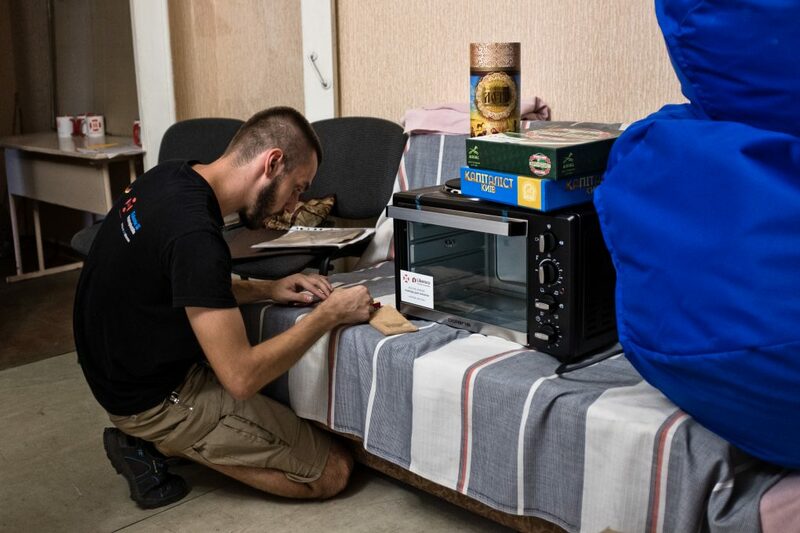 A children’s and youth club in Zolote, run by volunteers, gets an electric stove with a grill, board games and beanbags, which were purchased from donations collected by Libereco. We visited a dance and music performance in the youth club “Mayak” (“Lighthouse”) in Toshkivka. Because of the war, the village is largely cut off from the regional infrastructure. With donations collected by Libereco, the music system was renewed and a projector was bought. Delivery of humanitarian aid in Stanytsia Luhanska. This is the only place of official transition to the separatist’s self-proclaimed People’s Republic of Luhansk. 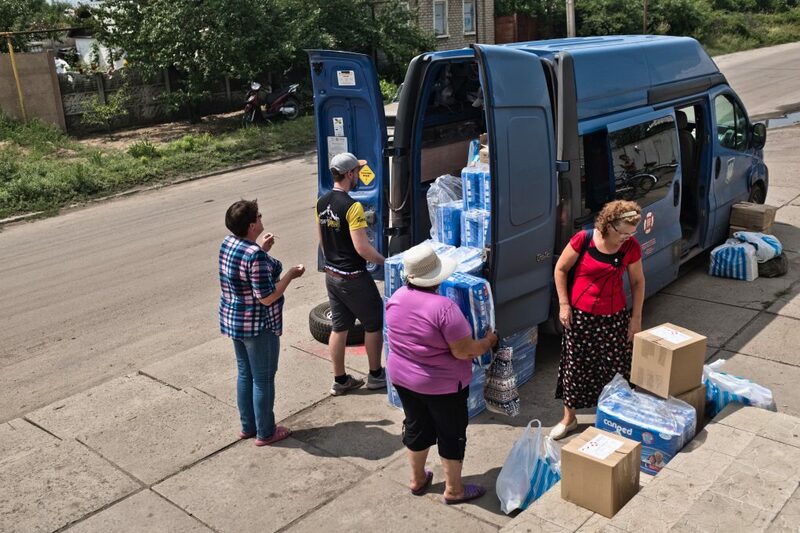 Delivery of humanitarian aid in Zaytsevo, a small village directly at the front line. Because of the war, Zaytsevo has been cut off from the regional infrastructure. 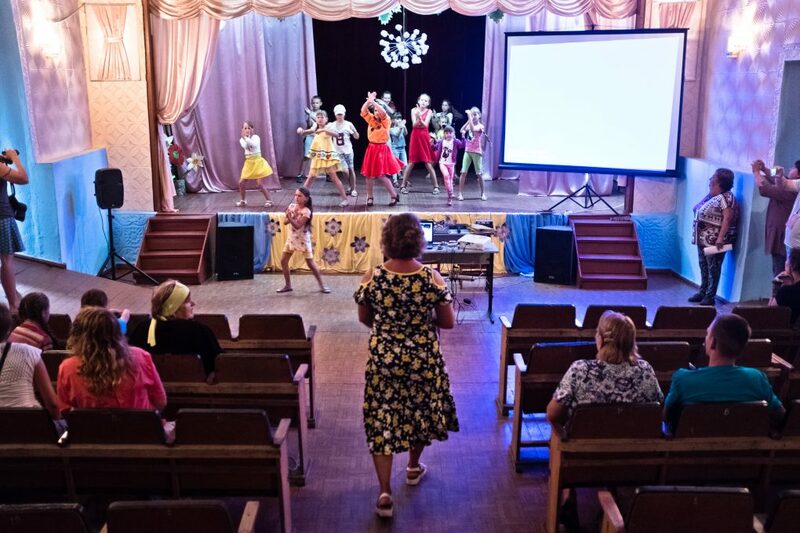 Out of the 54 people living in Zaytsevo, only five have a job. Once a month a special bus arrives, which enables the inhabitants to buy goods. A longer report about the current situation in the Donbas and how the people live in the “grey zone” can be found here.